ClearIAS Prelims Online Mock Test Series - Trusted By Toppers! Enroll now in ClearIAS test series 2019, and get instant access to already uploaded and upcoming exams (40 mock tests) at just Rs.9000 Rs.4999 (inclusive of all taxes). 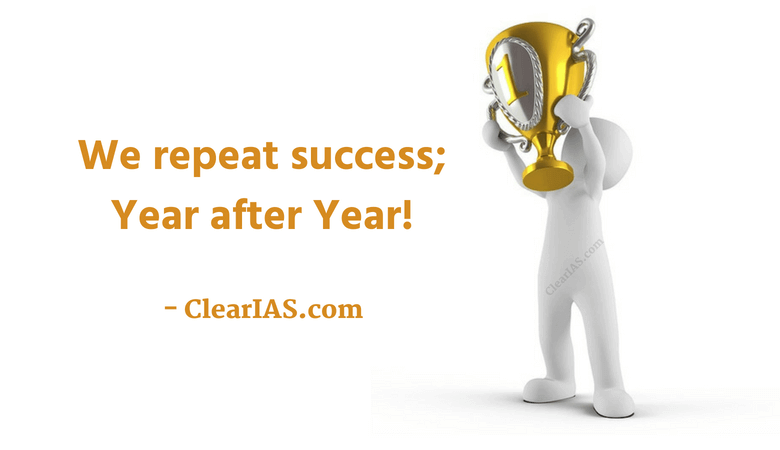 With more than 2,00,000 registered users, ClearIAS is the ultimate mock exam plaform in India. Our focus is to boost your Prelims marks within a short time! FREE pass to ClearIAS webinars/seminars on Intelligent Elimination Techniques (IET)™ for Prelims 2019. Do you have any additional discount coupon? ClearIAS is one of the pioneers in pan-India UPSC Prelims online mock-tests with performance analysis. Over the last few years, we have helped thousands of aspirants clear UPSC Prelims in flying colours. ClearIAS Prelims Mock Exams ♥ Trusted By Toppers! I had used ClearIAS Prelims Test series and it was extremely useful. I have a 3.5-year-old child. I know how I used to feed him with one hand and read and give your test in another. Instant Access to Mock Tests after Payment! You will get instant access to all existing and upcoming mock tests until Prelims 2019. If not yet registered on this platform, register first, and then login with your username and password. ClearIAS Prelims Online Mock Test Series integrates learning with test-taking. ClearIAS Test-based approach focuses on fast-learning through MCQs – based on a topnotch timetable – which in turn will help you increase your prelims marks by a big margin! Check the list of exams here. 40 UPSC Prelims Mock Exams (2 hours tests, 200 marks, Negative-Marking). Instant access to take our mock exams from a laptop, tablet or mobile. Solutions will be available in each user account for revision until Prelims 2019. You can pay now and take tests at any time convenient before Prelims 2019. NCERT Exams, Subject-Specific Exams, Current Affairs Exams, and Full-Topic Exams. More than 2,00,000 registered users on this platform already! 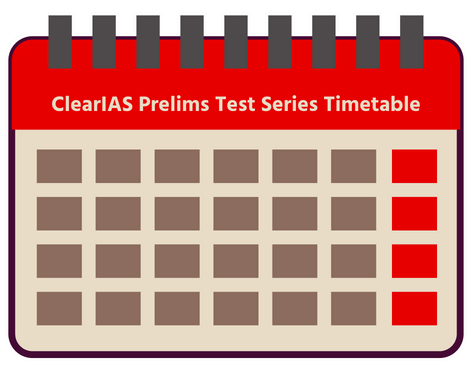 All previous year subscribers of ClearIAS Prelims Test Series (2015-2018) would get FLAT 20% discount on ClearIAS Prelims Test Series 2019. Just enter the discount code, we emailed you, in the box below. Boost your Prelims Marks within a short time! ClearIAS Prelims Online Mock Test Series 2019 is the ultimate mock exam package that will help you boost your Prelims marks within a short time! Be the centre of admiration! We help you clear UPSC CSE Prelims 2019 with flying colours and be the centre of admiration. How can you make payment for the full-length tests? You need to register and login before making payment to paid prelims mock tests (the process is so fast, it just takes less than 1 minute of your time!). Once registered and logged in, you would see an orange coloured buy button on this page. 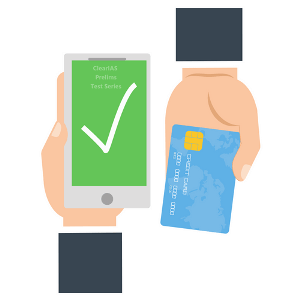 Payment to the full-length prelims mock tests can be made through debit card, credit card or net-banking. International payments are also supported, for aspirants preparing from outside India. Once the payment happens through the payment gateway (hardly takes 2-3 minutes), users will be re-directed back to the corresponding tests with instant access, even at midnight!